As email has become the life blood of many businesses, ensuring the relevant server is always running at optimum levels is a commercial imperative that none can ignore. With the average corporate email user receiving over 100 emails a day according to the Radicati Group, optimising this aspect of your business is vital. Servers running email are just like any other component of a business's IT infrastructure, and need to be assessed and regularly overhauled to deliver high levels of performance. 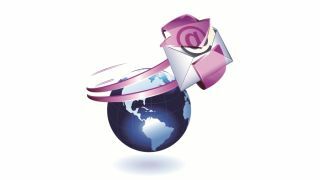 There are a number of steps that can ensure a business's email services always run at optimum efficiency. First is to monitor fragmentation of the hard disk. Many IT managers who have moved their servers to their virtual equivalents believe that disk fragmentation doesn't affect their systems; but the opposite is true. It's necessary to closely monitor the disk storage of exchange servers for debilitating fragmentation, which is inevitable over time. Second is to reduce the disk latency. eMail has to be sent and received fast, which requires an efficient email server with an optimised I/O interface, so take a close look at the interfaces used and test the throughput. Security is of paramount importance, as the internet is awash with malicious code that can seriously damage a business. Using a fully equipped firewall, such as Dell's SonicWall, is a must. It's also necessary to consider how the 'bring your own device' trend is affecting an email server, which has to support an increasingly wide range of devices. The security systems and email clients that they use has to be integrated into the overall email policy of the business. In addition, as more small businesses take advantage of cloud-based services their attention is inevitably turning to their email servers. A hybrid approach may be more efficient in the short term to enable your business to assess how cloud-based email services could enhance – or not – your email provision overall. Forrester comments in their white paper on messaging and collaboration: "Before making a service architecture change, you should examine the needs of your different user constituencies, profile the applications that either integrate or work in concert with email, and understand the real costs of keeping email in your data centre and running it yourself." Finally, it's necessary to balance the email load. It's a 'must' to use monitoring applications for server optimisation as they provide the insight needed to identify and cure any bottlenecks. This is coupled with an understanding of how the local cache file has been allocated. For example, a 5GB allocation for each instance of Outlook is generally enough to provide an efficient performance from the user's perspective. eMail has become one of the mainstays of business practice, but is often the last server to be optimised in an IT infrastructure. Users want instant access whether sending or receiving, and looking closely at each aspect of your email server's performance will give your business the practical data it needs to ensure it runs at optimum efficiency.